Chris Foss Trading Cards, #41-60 (1995) | 'TAIN'T THE MEAT… IT'S THE HUMANITY! 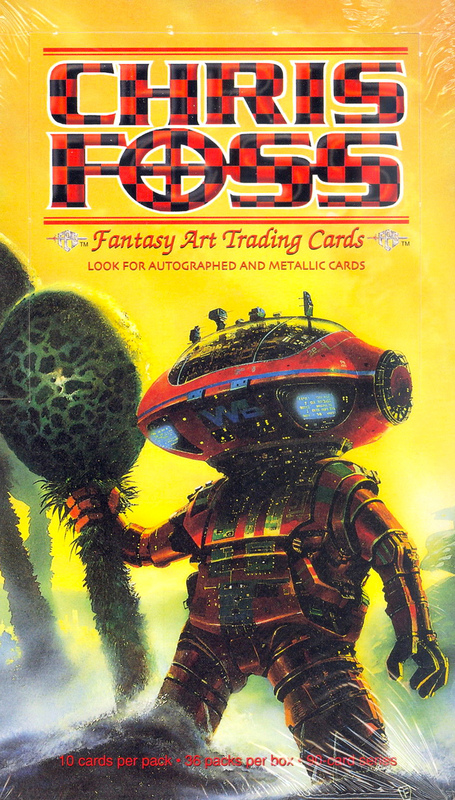 Here is the third batch of cards from the Chris Foss Fantasy Art Trading Cards collection, published by FPG in 1995. Featuring the work of popular science fiction artist Chris Foss, this collection contains 90 full-colour base cards, five metallic chase cards (1:12) and an ultra-rare autographed card (limited to only 100 copies). Each card measured 90 x 65mm, was printed on thick stock and shipped in foil packs of 10 cards. Each card featured a Foss painting on one side and a (rather naff) fictional caption describing the image on the reverse. I’ve already looked at cards #1-20 here, and cards #21-40 are here. There are some great paintings in this third batch of cards, including Turner Spaceship, Foss’ homage to the work of painter JMW Turner. (This painting also features on the cover to Hardware: The Definitive SF Works of Chris Foss, published by Titan Books in 2011). Card #48 featured concept artwork from director Alejandro Jodorowsky’s doomed Dune adaption from the mid-1970’s. Another eye-catching painting is featured on card #60, which appeared on the cover to Isaac Asimov’s The Stars Like Dust. Sadly this beautiful image of a space freighter pulling an asteroid has been cropped to shoe-horn it into the card’ proportions. Another of my favourites is card #55, which originally featured on the cover to Dreams of an Unseen Planet by Teresa Plowright. There’s a terrfic sense of movement and drama to the painting, and I love the wonderfully alien-looking spaceship — no one but Foss paints ships like that. Also included in this batch is the first Foss painting I ever encountered, the cover to The Testament of Andros written by James Blish (card #59). The painting of a crashed spaceship featured on the intro page to Octopus Books’ excellent Encyclopedia of Science Fiction from 1978. The painting has that wonderfully desolate and haunting feel that characterises much of Foss’ work. 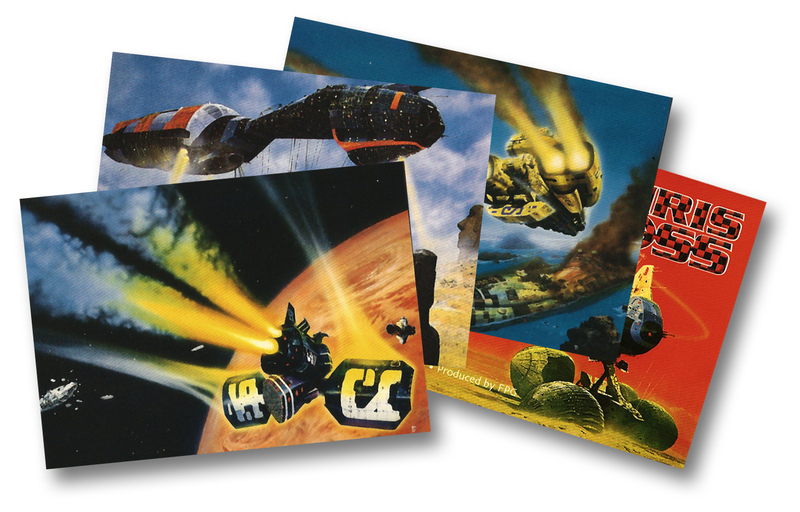 So, here is the third batch of cards from the Chris Foss Trading Card collection. I’ll post cards #61-80 in the next week or so.